Are you on Google My Business? Google My Business is one of the best ways to connect with local customers, and Pool Marketing Site knows what it takes to attract customers in your community and to rank ahead your top local competitors online. When working with Pool Marketing Site, you can expect us to put your Google My Business hard at work for your company. We can either create your Google My Business account or optimize your existing account, making it more effective. This is your chance to show the world what makes your business special. Bring in business by sharing what’s new. Give people a reason to drop by — share your latest offer, promotions and news so they know what’s happening. Bring in customers by sharing helpful information. Make it count every time someone finds you on Search and Maps. It’s easy to keep your business listing fresh with new photos, custom open hours and a free website. Engage online and build customer loyalty. Build strong relationships with the people who matter most. Start a conversation with your customers by responding to reviews. Discover how people find your business. Use our business dashboards to learn how customers are interacting with your business listing. How did people find you? Where are they coming from? With Google My Business, the answers are right here. Save time by answering customer questions before they ask. With Q&A, customers can easily ask a question right from your Google business listing. To save time, you can pin frequently asked questions and highlight the top answers. 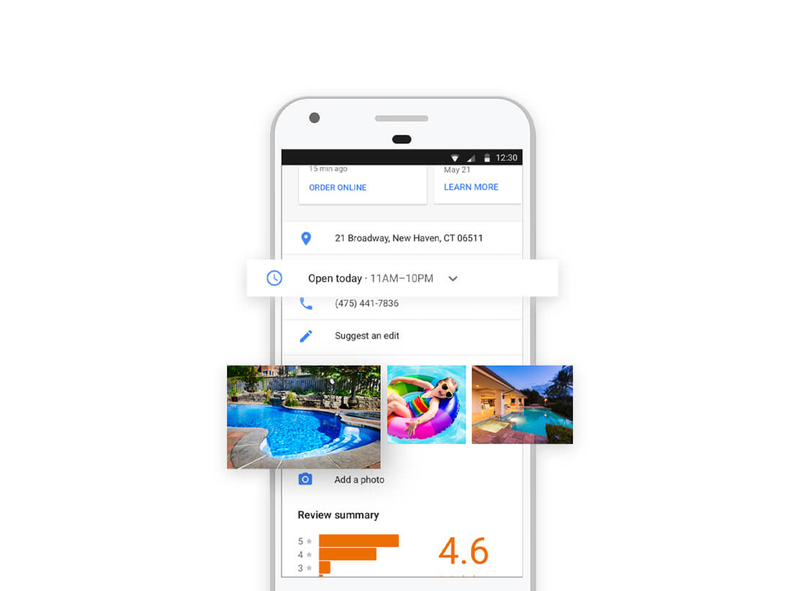 Google My Business is a great online marketing tool for pool business owners looking to increase their online visibility and bring in new customers.